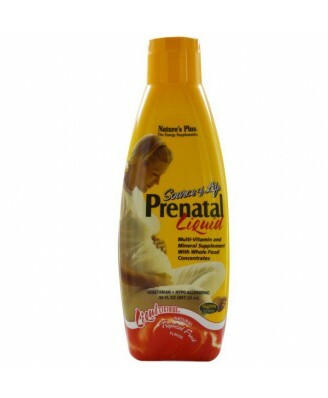 Source of Life Prenatal Liquid is the most comprehensive prenatal liquid supplement ever developed, scientifically designed to provide optimal nutritional support during pregnancy! 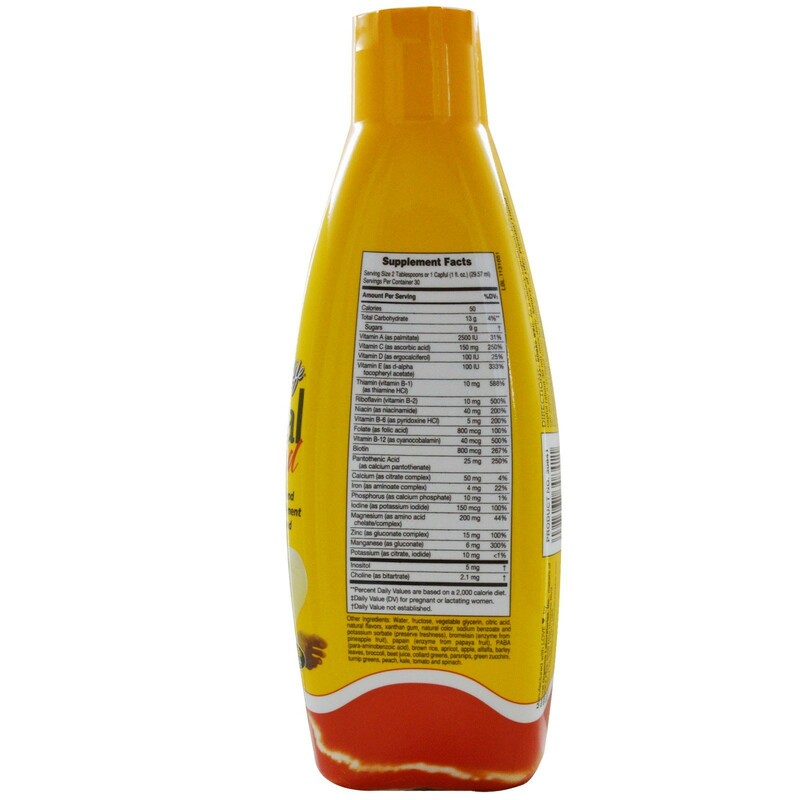 Water, fructose, vegetable glycerin, citric acid, natural flavors, xanthan gum, natural color, sodium benzoate and potassium sorbate (preserve freshness), bromelain (enzyme from pineapple fruit), papain (enzyme from papaya fruit), PABA (para-aminobenzoic acid), brown rice, apricot, apple, alfalfa, barley leaves, broccoli, beet juice, collard greens, parsnips, green zucchini, turnip greens, peach, kale, tomato and spinach. 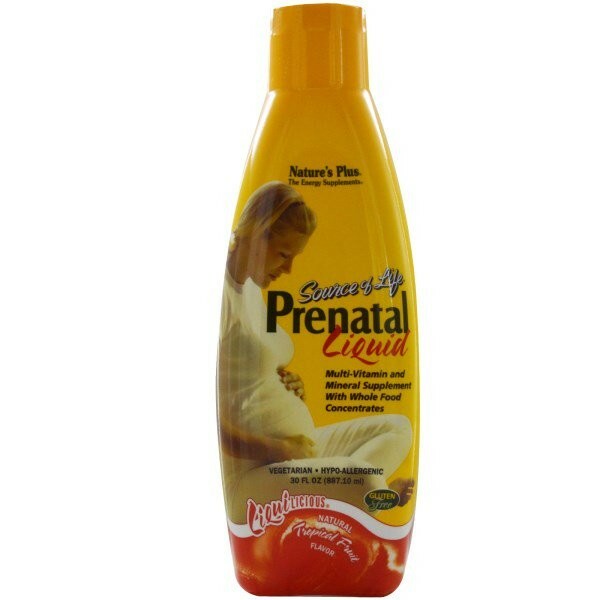 Source of Life Prenatal Liquid is the most comprehensive prenatal liquid supplement ever developed, scientifically designed to provide optimal nutritional support during pregnancy! Just one luscious, indulgent tropical-fruit flavored capsule provides expectant mothers with the special nutrition they require. Fast-acting and easily digested, Source of Life Prenatal Liquid is fortified with all essential vitamins and 8 essential minerals, plus the vital energy of nature's premier whole foods, including apple, broccoli, spinach, tomato, brown rice, apricot and banana—so every daily serving supplies natural energy and nutritional strength. Keep tightly closed. Refrigerate after opening. Accidental overdose of iron-containing products is a leading cause of fatal poisoning in children under 6. Keep this product out of reach of children. In case of accidental overdose, call a physician or poison control center immediately.